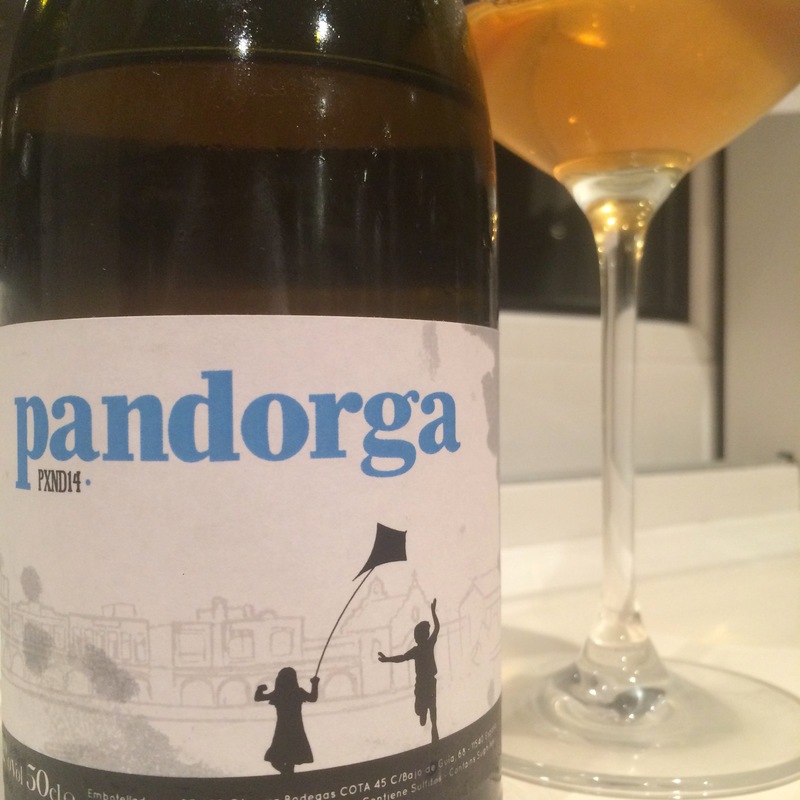 Here’s another interesting wine from Ramiro Ibañez at Cota 45, the “Pandorga” (meaning kite, hence the label), a 100% pedro ximenez, this one from 2014 and a much anticipated purchase from the Cuatrogatos Wine Club. Interestingly, according to a note I just read this comes from PX grown on a vineyard you may have heard of: La Panesa, in Carrascal (which I think I am right in saying used to be the property of Emilio Hidalgo, and inspired the name of their famous fino). Harvested slightly late, the fruit is left in the sun in the traditional way (although I would guess slightly less than is usual), fermented and spends a year in bota – I believe this has literally just been bottled. As with other wines by Cota 45, there seems to be a deliberate intention to allow the characteristics of the fruit to shine through: it is only 12% proof so you know it is going to be sweet and it doesn’t disappoint on that score, but it is relatively fresh and light by comparison to the heavier, darker styles of PX you may be accustomed to (not unlike the Ximenez Spinola Vintage 2014, although I think I remember that one as more raisiny). As I have often said, I struggle to pick out the structure and features of sweeter wines, and on first tasting this it was no different, but a day later I am getting more from it. It is a honey-like amber in colour and not as cloudy as the picture above suggests (not sure what has happened there) – maybe just a little short of crystal clear. On the nose it is more grapey than raisiny – with a suggestion of that marmalade, old fruit aroma you get in the more intense champagnes. On the tongue it is sugary rich like a fruit juice first up, very nicely integrated acidity, and now I am getting a real marmalade/intense apricot jam vibe at the back -bittersweet fruit. The finish isn’t sticky at all, but those fruit flavours hang around. This is wine that you could drink gallons of without realizing (probably a good thing it comes in slightly smaller 50cl bottles) but also merits some study.